Our skin on frame kayak kits have been designed by Kiliii from Sea Wolf Kayaks. The kit contains everything you will need for the ribs and combing. There is enough extra in case you break a few. Price: $65 Plus freight. We offer pen blanks for the hobbyist who is into turning custom and unusual pens. They are 3/4″ x 3/4″ x 5″ and available in lots of 25 for $25, shipping included. Some natural vertical available just ask when you place your order. 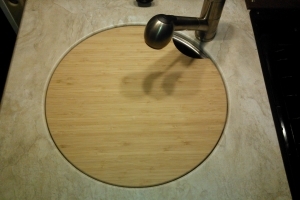 We recently purchased a motorhome and found that the cover for the sink was needing replaced. So why not a bamboo one that will double as a cutting board. 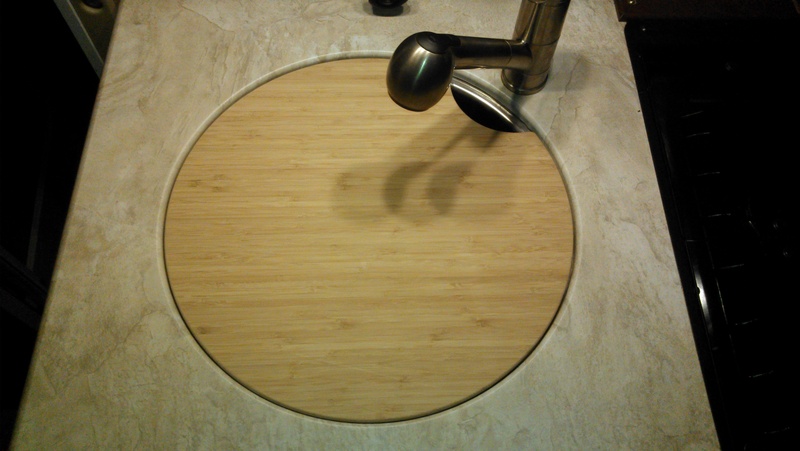 The bamboo sink cover is made from 3/4″ 3 ply so it will be durable and last. The added plus is the bottom can be used as a cutting board. Fits flush with the top of the counter. Fits the 16″ sink in the Solera, available in carbonized and natural vertical. Price: $85 Plus frt. Custom orders for your motorhome quoted. Our coasters are a product of your imagination. Your artwork can be turned into a custom coaster for an event, a bar or product line. Give us a call for a quote. 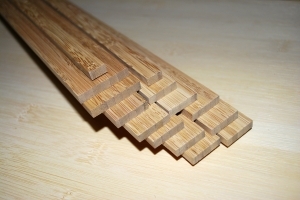 Northwest Bamboo, Inc. provides finished bamboo products and materials, including flooring, veneer, dimensional lumber, trim, and more to clients worldwide.